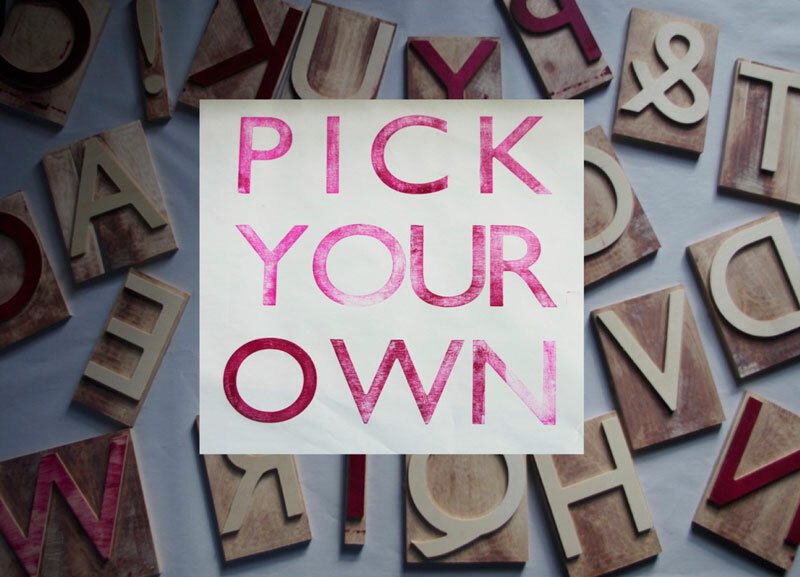 Make a statement, ask a question or simply put some words together with printmaker Alex Goodman. Beth allwch chi wneud gyda geiriau? Beth all eiriau wneud i chi? Yn rhan o madeinroath 2018 cyflwynwn – Pick Your Own – yn y gweithdy argraffu dros dro yn 1a Inverness Place. Gwahoddwn chi i ddewis eich geiriau eich hunain a’u hargraffu mewn unrhyw iaith y gallech chi greu gyda’r llythrenau y dewiswch. Gan ddefnyddio ein blociau unigryw gallech chi greu barddoniaeth, maniffesto, datganiad i diolch neu draethu. Dewch i arbrofi beth all iaith wneud i chi, a beth allwch chi wneud gyda iaith. Byddwn yn defnyddio eich geiriau mewn posteri ac yn eu harddangos ar draws y dref. What can words do for you? 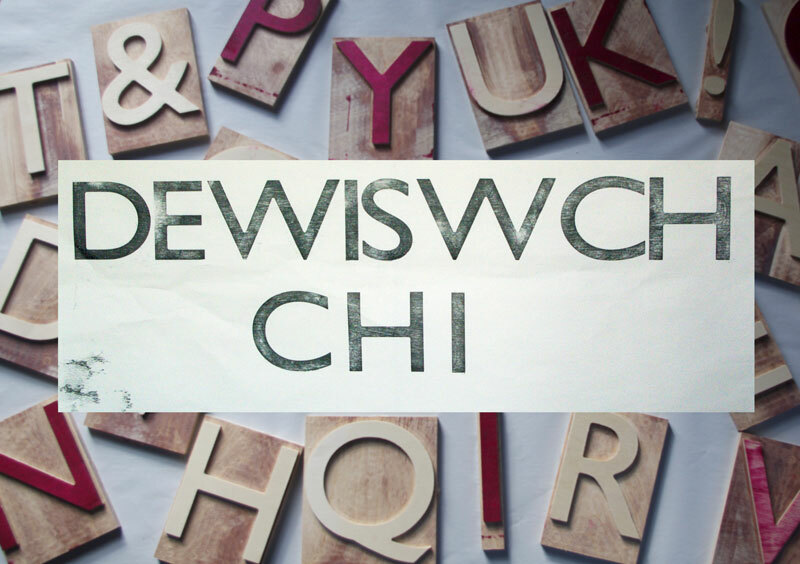 Call in to the temporary print workshop at 1a Inverness Place, Roath where you are invited to pick your own words and print them, in whatever language our wooden letters can spell. Using a custom made set of letter blocks you can conjure poetry, craft a manifesto, pronounce, declare, thank or exclaim! Come and explore what language can do for you and what you can do with language. Your words will be used as posters and displayed at 1a, and around Roath. Fri 19th – Sat 20th 11-5. Sun 21st 11-4. This project was made by Alex Goodman with support from Shape Studios, Bristol. Alex is a Bristol based artist who makes performance, print and produces site specific projects. Her work celebrates the liminal, the lost and the tidal. She is interested in how language and relationship to place reflect the navigation of our everyday lives. She utilises old, forgotten or obsolete technologies to make her work.